The Muscular Dystrophy Association has announced that plans for its 2010 Jerry Lewis MDA Telethon are almost complete, and the 21 1/2-hour live show is going to be spectacular. From live remotes to amazing dance and production numbers, to sensational music performances (e.g., David Archuleta, Enrique Iglesias, Lynyrd Skynryd, WAR, John Ondrasik, OneRepublic, Barry Manilow and many more), to side-splitting comedy and dramatic appeals by some of America’s most popular entertainers, the two-day television event is certain to delight viewers Labor Day weekend. 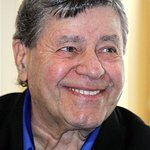 Legendary entertainer and MDA National Chairman Jerry Lewis will be headlining the star-studded television program that’s expected to be watched by some 40 million Americans, thanks to the “Love Network” of more than 170 television and cable stations broadcasting the show Sept. 5 and 6. Millions more worldwide will see the show live via the Internet at www.mda.org, courtesy of RealNetworks. Lewis will be assisted by a cadre of extraordinary Telethon co-hosts including Alison Sweeney (host of NBC’s “Biggest Loser” and “Days of our Lives” star); Nancy O'Dell, Emmy-winning entertainment personality, author and entrepreneur; and independent producer and Emmy-winning entertainment journalist Jann Carl. The show will benefit from special guest co-hosts, too. Nigel Lythgoe (executive producer of “American Idol” and co-creator, executive producer, and judge for “So You Think You Can Dance”); dramatic actor and comedian Richard Belzer (“Law & Order”); Ace Young, Grammy-nominated songwriter and star of Broadway; actor Brandon Barash (“General Hospital” star); and actor/comedian John Pinette all will lend their talents to the show that brings so much help and hope to more than 1 million Americans living with neuromuscular diseases. The Telethon will present an eclectic group of top bluegrass and jazz bands, gospel groups, virtuoso violinists, country, rock and popular music artists. Thanks to the “Get Discovered!” national competition orchestrated by Iheartradio.com and more than 845 Clear Channel radio stations, four new artists will each play two songs live on network television. The Telethon also will showcase live performances by music icons including Tony Orlando (who’s also hosting the New York City telecast of the Telethon), Taylor Dayne, Maureen McGovern, Charo and Jack Jones. Laughs will be abundant throughout the show. Las Vegas headliners Carrot Top, Terry Fator and George Wallace are returning to join funny men John Pinette, Bob Zany, Jeff Trachta, and comedic legends Norm Crosby and Charlie Callas. The Telethon will feature cast members from the television hits “GLEE” and “The Doctors”; Ray Romano, Don Francisco (“Sabado Gigante”), Patrick Duffy, Ken Howard, Lou Ferrigno, and Olympic Gold medalists Bart Conner and Nadia Comaneci. The 2010 Jerry Lewis MDA Telethon starts Sunday, Sept. 5 at 9 p.m. EDT. Originating live from the South Point Hotel in Las Vegas, the show concludes Labor Day, Sept. 6 at 6:30 p.m. EDT. Check listings for local start and end times, or visit mda.org.